The FIFA 19 leaderboard allow the players to be compared in four strands. Find out what Match Earnings, Transfer Profit, Club Value and Top Squad are and how they are calculated. You can access the FIFA 19 Leaderboard directly from the the FUT main screen. You just need to browse to My Club and then to Leaderboards. From there, you can consult any of the four leaderboards and refine your search with the two filters available. One lets you select the Top 100 or just your friends; the other one gives you the chance to see all the records or only those that occurred in the last month or last week. 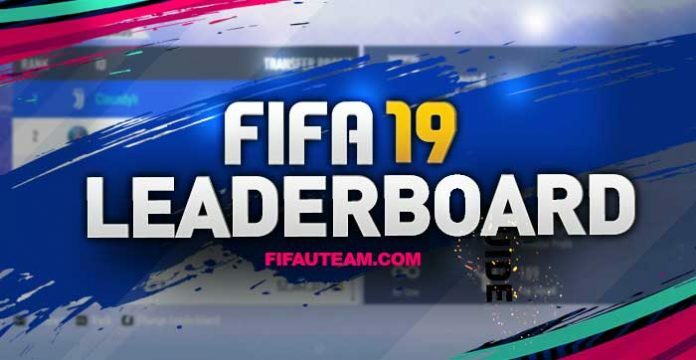 Please, note that any changes you make to your team may require refreshing the web/companion app, or the Ultimate Team if you are playing on the console/PC, in order to be reflected on the leaderboard. Total coins earned from matches and tournaments. It measures how good player you are. This one’s pretty easy. It’s how much you’ve earned playing. That includes the value that pops up at the end of every match, considering bonuses. It’s cumulative and never decreases. Even if you lose as many matches as you can you’ll always get at least a few coins. Some developers get to play the final game before its release date and that’s why you can see some people with tremendous Match Earnings so early. There are also players who receive the beta version, but the progress they make on that won’t be carried over to their original account. Another detail that might be a little confusing: when you delete your club and then compare it to your friend’s on leaderboards, you’ll have your match history reset but not your match earnings. That’s why sometimes you’ll see people with match earnings higher than yours while they’ve played way less matches. – All coins you win at the end of each match. – Includes extra coins awarded depending on the game mode: FUT Draft, Squad Battles, Rivals, FUT Champions or Single Player Seasons. – Includes the EAS FC Catalogue coins boost. Coin profits from purchases, sales and discards. It measures how good trader you are. Basically, any purchase you make on the transfer market is deducted from your transfer profit. Any card you sell (at 100% of the sale price) is added to your transfer profit. For example, if you buy a card for 9,500 coins, and then sell it for 10,000 coins, the Transfer Profit will increase by 500, even though you have essentially made no increase/decrease to your net wealth. It’s also important to understand what happens when you buy a pack on the store. Let’s suppose you have 10,000 of Transfer Profit. You buy a gold pack that’s worth 5,000 coins and store everything in your club. How is your TP now? 5000. And it can even go negative if you keep buying many packs. It falls by the exact value of the pack. The players’ values that came from the pack don’t matter, you can get Ronaldinho or Messi in a pack, it doesn’t matter, the TP will decrease by the value you paid for the pack. Only when you sell the players you got from the pack you may get it back. This way, you’ll lose 5,000 of TP by buying a 5,000 worth pack, but if you get lucky you can recover what was lost. So when you buy a pack your TP will decrease, and when you sell those cards your TP will increase. – It doesn’t take into account the 5% tax. – The transfer profit decreases every time you buy a pack (it will increase again if you sell the content). – The transfer profit increases every time you redeem a coins pack. – The transfer profit increases every time you quick sell a card with discard price higher than 0. Total value of all players in your club. It measures how valuable are your players. Your Club Value is the sum of the values of all the players you have in your club (not only the ones in your squads). Each card has one value, which we’ll be calling from now on the “RV” (Reference Value). The RV rises little by little for each overall point. However, it is also affected by the type of card and if it is common or rare. In short, the value you see in Club Value is equal to the sum of all of your players’ RV’s. This value isn’t related in any way with price ranges, with the amount of coins you spent to buy the player or with how much you’ll sell him for. This means that even those untradeable cards you have in your club will count, that according to their type and overall of course. – The players in your transfer list do not count, only the ones you have in your club do. – It isn’t affected by staff, consumables or club’s items. – High rating cards contribute more to the club value. The same goes for cards such as TOTY, TOTS and every other kind of IF there is. – Rare cards contribute more to the club value than the common ones. Combined chemistry and rating scores of your best squad. It measures how good your best squad is. The Top Squad is a number that goes, in theory, from 0 to 199. Basically, it is obtained by adding the team chemistry to the team rating. For example: if you have an 88 rated squad with full chemistry, your Top Squad will be 188, which is pretty good. It’s very simple, right? The team chemistry can be found on the top right corner of your squad’s screen. It is the sum of all individual chemistries of your starting eleven. You can know more about it clicking here. The Top Squad considers your best squad’s total rating. It doesn’t matter how many squads you have or which one is active, just the best rating. If you have an inactive 88 rated squad and you’re currently playing with a 70 rated one, your team rating used to the Top Squad will remain 88. The only problem here is the way how team rating, a value indicated above the chemistry, is calculated. It is very complex but, hopefully, you can click here to learn how it works. – You get the Top Squad, adding the Team Chemistry to Your Best Team Rating. – Top Squad is only affected by the starting eleven and substitutes – it doesn’t depend on the reserves. – The starting eleven’s ratings weigh more over the Team Rating. – The Top Squad will not vary if a player card is common or rare, regular or IF as long as they have the same rating.